Decommissioning oil and gas installations can cost operators an average of $4-$10 million in the shallow water Gulf of Mexico. 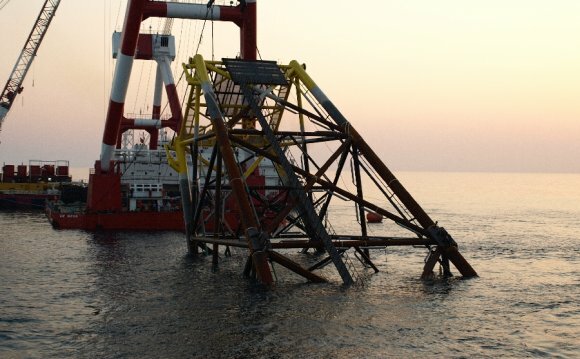 Thus when the US Department of the Interior Bureau of Ocean Energy Management, Regulation, and Enforcement (BOEMRE) Gulf of Mexico OCS Region issued a new decommissioning regulation in September 2010, operators knew they'd take a hit. NTL 2010-G05 requires wells that have not been used for the last five years to be to be permanently abandoned, temporarily abandoned, or zonally isolated within 3 years after Oct. 15, 2010. If wells are zonally isolated, operators have 2 additional years to permanently or temporarily abandon the wellhead. Plus, platforms and supporting infrastructure that have been idle for five or more years must be removed within 5 years as of the Oct. 15, 2010 effective date. This new NTL on top of the typical volume of decommissioning work in the GOM will increase demand for contractors and, in turn, their dayrates. According to a BOEMRE statement, the MMS (former name of the BOEMRE) conducted an Alternative Internal Control Review (AICR) of idle structures and wells on active leases in the GOM OCS in 2008. The review identified a significant number of idle platforms that need to be permanently plugged and removed. Why? Idle structures and wells could be damaged in a hurricane and cause an environmental disaster. Plus, damaged platforms and wells cost more to decommission than non-damaged wells. How is an offshore rig decommissioned? There are 10 steps to the process: Project Management, Engineering and Planning; Permitting and Regulatory Compliance; Platform Preparation; Well Plugging and Abandonment; Conductor Removal; Mobilization and Demobilization of Derrick Barges; Platform Removal; Pipeline and Power Cable Decommissioning; Materials Disposal; and Site Clearance. Each step is discussed below. Due to the limited number of derrick barges, many operators contract these vessels two to three years in advance. In addition, much of the decommissioning process requires contractors who specialize in a specific part of the process. Most operators will contract out project management, cutting, civil engineering, and diving services. Obtaining permits to decommission an offshore rig can take up to three years to complete. Often, operators will contract a local consulting firm to ensure that all permits are in order prior to decommissioning. Local consulting firms are familiar with the regulatory framework of their region. An Execution Plan is one of the first steps in the process. Included in this plan is environmental information and field surveys of the project site. The plan describes a schedule of decommissioning activities and the equipment and labor required to carry out the operation. An execution plan is required to secure permits from Federal, State, and local regulatory agencies. The BOEMRE will also analyze the environmental impact of the project and recommend ways to eliminate or minimize those impacts. Federal agencies often involved in decommissioning projects include BOEMRE, National Marine Fisheries Service, US Army Corps of Engineers, US Fish and Wildlife Service, National Oceanic and Atmospheric Administration, US Environmental Protection Agency, US Coast Guard, and the US Department of Transportation, Office of Pipeline Safety.